You may have already noticed that we’ve put our merch from this years 10th anniversary online. This year we had the limited edition Varsity Jacket with the Fieldview script embroidered. 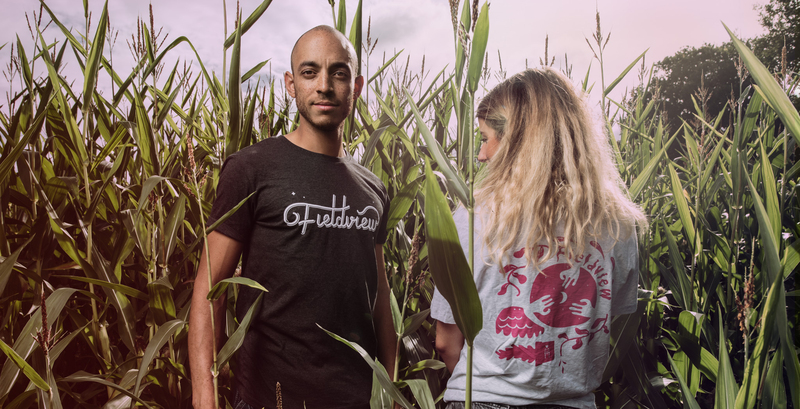 We have two designs for the t-shirts; the Fieldview Script T-shirt as well as the Heather Ash illustration t-shirt (designed by Anton Herbert), both of which are sustainably sourced and made. Read all about that here. Amongst some other treats we have our favourite, the Enamel Pin. They’re finally available! Wear it on your shirt, pin it to your bag and remember, you’re ‘A Little Piece Of Sunshine, That Shines Through The Night’. Amongst some other treats we have our favourite, the Enamel Pin. They’re finally available! Wear it on anything, pin it to your bag and remember, you’re ‘A Little Piece Of Sunshine, That Shines Through The Night’. Lewis Kay-Thatcher (Tea In Dreamland) for the hours put into the artwork. Anton Herbert for the cosmic Heather Ash tee. Christopher Rosenfeldt for the next level photography. We hope you like it all as much as we do.